Without Certified Professional Installers, essentially no radios in the CBRS ecosystem can be installed. The Wireless Innovation Forum (WInnForum) a non-profit international industry association dedicated to driving the future of radio communications and systems worldwide, today announced a Request for Proposal for Certified Professional Installer (CPI) Training Program Administrators for the new Citizen’s Broadband Radio Service (CBRS) band. This request brings the band one step closer to being operational. The CBRS band provides for sophisticated multi-tier spectrum sharing with protected incumbents. Per the FCC, the majority of CBRS radio transceivers or Citizen’s Broadband Service Devices (CBSDs) must be installed by a CPI to lawfully operate within the CBRS. To meet the FCC Part 96 rules, CPIs must be trained and certified. The WInnForum’s CPI Accreditation Standard (WINNF-TS-0247-V1.0.0 found here: http://bit.ly/2BIXVQi) provides a working outline of how training programs for CPIs will be achieved as well as which CBSDs need certification, CPI responsibilities, CPI database information, and more. CPIs are responsible for assuring the registration data entered into the SAS is accurate, and making sure equipment is properly installed. A complete description of CPI requirements can be found in the CBRS Operational and Functional Requirements document (http://bit.ly/2krGXCM). CPI Training Program Administrators can be a network equipment operator, an equipment vendor, a SAS administrator or a 3rd party training organization. They will develop the CPI Training Program, and, following accreditation, administer the curriculum and certification test as well as maintain certification records. “The creation of this accreditation program for CPI Training Administrators and the resulting request for proposal by the Forum is a crucial step in making the CBRS band operational. Without Certified Professional Installers, essentially no radios in the CBRS ecosystem can be installed,” said Richard Bernhardt, National Spectrum Advisor of WISPA and Chair of the WInnForum CBRS Operations Work Group that developed of the CPI Accreditation Standard specification. Operating as a multi-stakeholder group as defined by the FCC in the Report and Orders and Part 96 to create the technical rules and industry standardized interfaces for the band, the WInnForum has created a number of reports and specifications on the CBRS band which are available in the group’s Work Products web page: http://www.wirelessinnovation.org/ssc-public-files. 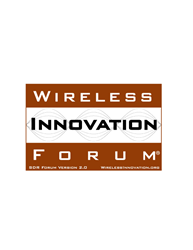 Earlier this year, the WInnForum achieved another milestone by launching a program for the approval for of CBRS PKI Root CA Operators (http://www.cbrs.wirelessinnovation.org/cbrs-root-ca-operator). Initial proposals for this RFP are due 19 January 2018. Proposals received after that date will be evaluated on a rolling basis. Each applicant seeking to become a training program administrator for CPI’s should include in its response all mandatory curriculum items and a methodology for training, reviewing, and examining and certifying CPIs. For complete proposal requirements, see the Request for Proposal here http://bit.ly/2jrBsAp. The SSC benefits from participation of a broad-based group that includes wireless carriers, network equipment manufacturers, potential SAS and ESC Administrators, satellite operators, existing 3650-3700 MHz band licensees, and other parties with an interest in the 3550 MHz band. A complete listing of the reports, recommendations and specifications produced by WInnForum members can be found here: http://groups.winnforum.org/Forum_Work_Products. Supported by platinum sponsors Google, Motorola Solutions, Leonardo and Thales, WInnForum has several working groups focusing on projects related to SCA and Spectrum Innovation. Visit http://www.WirelessInnovation.org to learn more. Individuals or organizations wishing to participate in WInnForum Working Groups should contact Lee Pucker at Lee.Pucker(at)WirelessInnovation.org.